We recently announced that Dr Jonno Hill, son of company founders Roger and Anne Hill, will step into the role of CEO in May 2018. The family name has stood firm at Hill Laboratories for more than three decades, with Dr Jonno Hill’s parents Roger and Anne establishing the company in 1984 and Dr Hill himself working in the business for the past 13 years. “When my parents established Hill Laboratories they aspired to create an equal income to what they had in Dad’s previous job. To their surprise, they achieved this in the first 12 months. “Since then Hill Laboratories has gone from being a solely agriculture-focused laboratory with two full time staff in Hamilton to an internationally recognised laboratory with three major testing divisions and around 400 staff nationwide,” Dr Jonno Hill said. Roger Hill, executive director, said the company first involved employees in ownership in 1990. “To this day we are 100 per cent owned by people working here. We anticipate remaining this way even in the face of attracting ownership interest from international parties,” he said. Dr Roger Hill remains active at Hill providing both strategic leadership and a considerable amount of technical knowledge, whilst Anne Hill also retains an ongoing important role as payroll manager. Dr Jonno Hill also has extensive experience at Hill beginning as a technologist and later becoming an analytical technology team leader, section manager, and divisional manager. Most recently he was general manager of technology on the executive leadership team. In addition to his corporate expertise, Dr Jonno Hill has a scientific background in molecular biology and chemistry, graduating from the University of Canterbury with a PhD in organic synthetic chemistry in 2005. 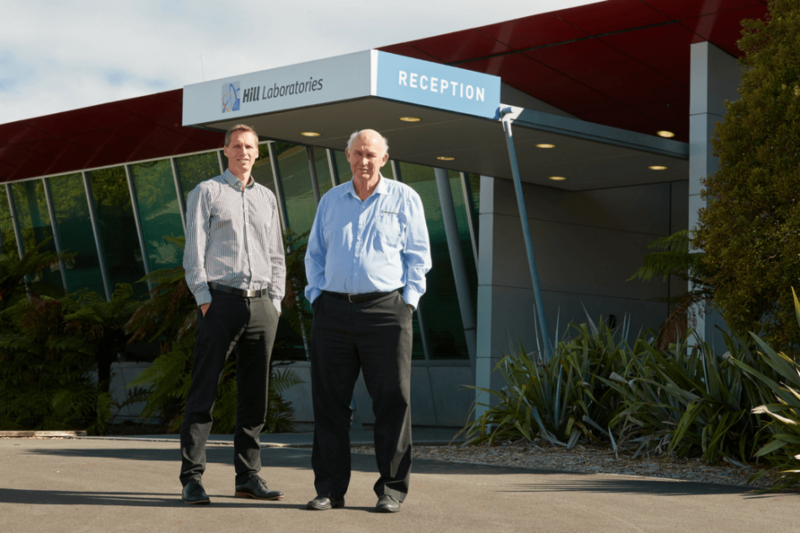 Jonno will take over from departing CEO Dr Matt Glenn, who has been CEO for four years and led the company through the process of consolidating four Hamilton sites in one city location, and opening our two Asbestos testing laboratories in Auckland and Wellington. Jonno says Hill has flourished under Matt's leadership, and that he’s looking forward to championing the values that continue to propel the company forward. “Under Matt’s watch our leadership and management grew into a strong team, ably leading the company to where it is now” he says. “As the new CEO, I look forward to continuing to work alongside our excellent team to keep the company on its current growth course, which has steadily increased since its humble beginnings three decades ago. “The opportunity to spend more time connecting with our customers, to deepen my understanding of their businesses and the markets they operate in is something I am excited about. “I'm grateful for the support of the board and the executive leadership team as I step into the CEO role and we enter this new period in the company's evolution,” he said. Dr Glenn acknowledges his “fantastic four-year journey” with Hill Laboratories and says the time is right to look for new opportunities. “As I step aside, I am confident that Jonno understands the business inside out; technically, operationally and commercially, and will continue to lead the business with its family values first,” he said. Dr Jonno Hill has three children with his wife Claudia, and in his spare time enjoys surfing, playing football, and brewing Bavarian lagers.